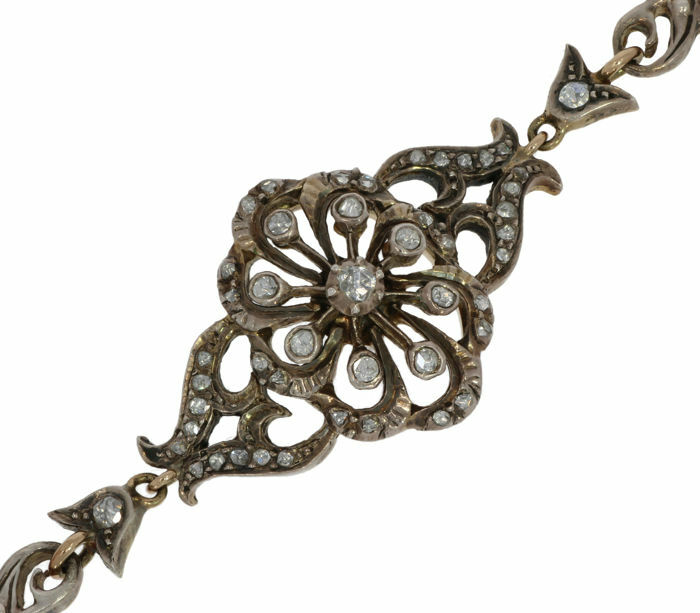 Antique 14 k gold and silver appliqué bracelet set with 47 rose cut diamonds, beautiful handmade item of jewellery. 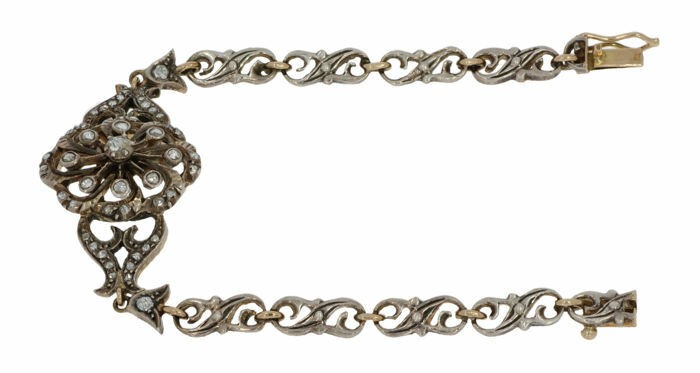 The bracelet measures 18 cm in length, the weight is 17 grams, link width 5 mm, width centrepiece 21 mm. 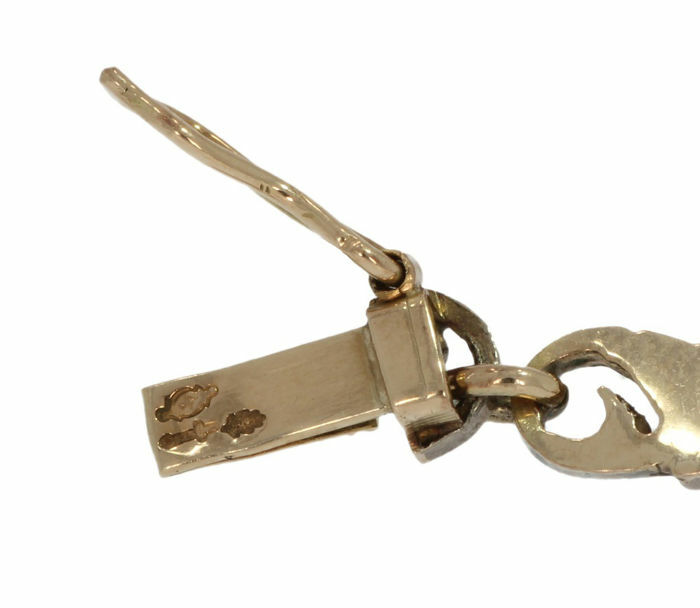 Marked with the 585 gold mark and 925 silver mark, Dutch marked. 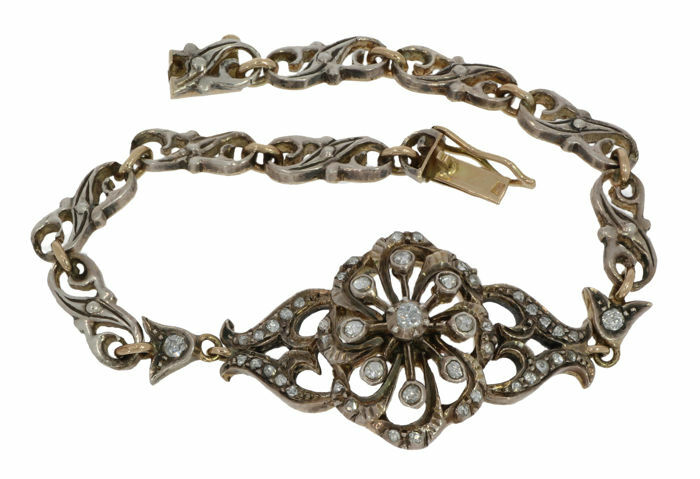 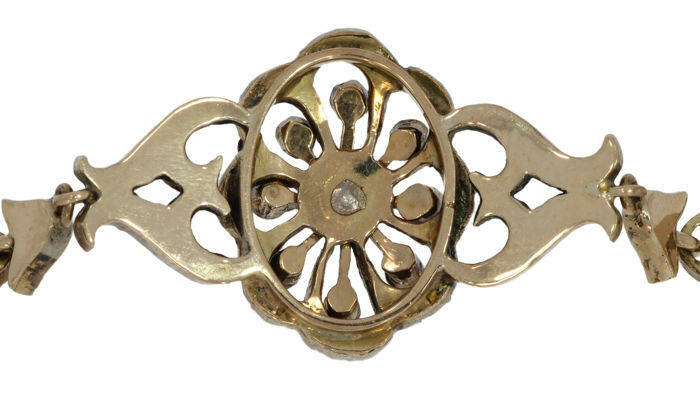 Please make your own assessment of this item of jewellery based on the close-up photos, to get a good image of the quality and condition of this bracelet.